Click on any event below to see more details and to add to your Google calendar! 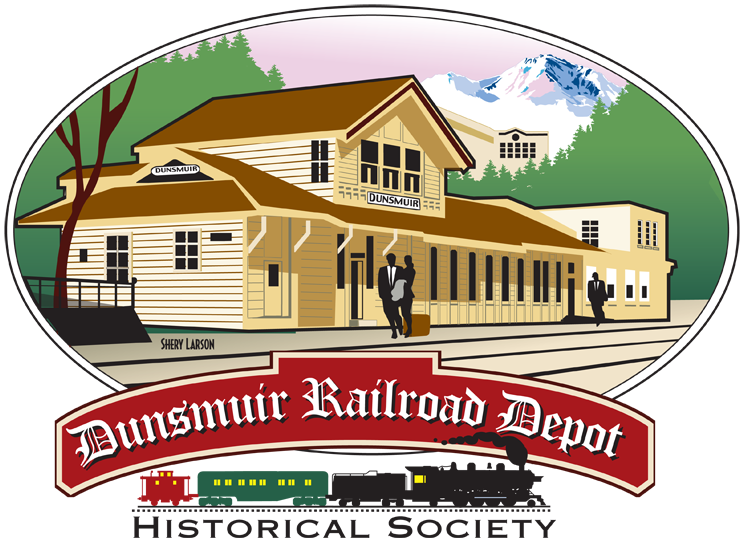 October 15 – Last Day Dunsmuir Museum will be open until April of 2017. Raffle winner selected! We had 76 bakers donate 184 pies that were of 55 different varieties from an All American Apple pie to Plum Hazelnut to old fashioned Green Tomato pie. The Pie Bakers came from 17 different cities. The total funds raised will be used to continue the maintenance of the only AMTRAK stop in Siskiyou County and to support the Dunsmuir Museum. Museum open 10 AM – 4 PM. Folks can climbed aboard for a free self-guided tour through Amtrak’s past, present and future. Young rail fans stopped off at Chuggington Kids Depot featuring a toy train and coloring tables. After touring the Exhibit Train, folks enjoyed Dunsmuir’s Railroad Days events! 10 AM until pies sold out. We had over 170 pies donated! Thank you for your support! 10 am to 2 pm. Town’s history, Native American Basket Collection and extensive arrowhead collection featured. The Society will dedicate two Dogwood trees planted in memory of our former presidents with commemorative plaques placed at each tree. Please join Rita’s and Tony’s families for the dedication. The Dunsmuir Autumn Art Walk takes place in the historical town of Dunsmuir, known for its trains, fishing and fabulous dining. In 2013, over 35 artists displayed their wares in 18 venues, including artist studios and local businesses. Art walks give the public an opportunity to interact with artists and purchase art in a casual environment and personable setting, so come join us for the 2014 installment on October 11th! We have two AMTRAK Coast Starlight tickets for our annual raffle grand prize, as well as two beautiful quilts. Formerly Railroad Days, this year’s event should be a rockin’ good time with the theme being “Come Rock & Roll in Dunsmuir!” Keep on the look out on this website for how we’ll be rocking and rolling this event. During National Train Day, the Depot opens with AMTRAK paper conductor hats and coloring books free to all children attending. We encourage families to take the train on their next vacation with AMTRAK vacation brochures and guides. Have a ball at the official kick-off party to celebrate the establishment of our historic train town museum! Ribbon cutting is at 2 pm. And come and see the newly installed Elinore Van Fossen Harrison Native American Basket Collection. We are also going to display an arrowhead collection collected by Mr. & Mrs. I.E. Dennis Jr. from 1950-1963. Refreshments will be served! The “Golden Era of Fishing” exhibit from 1999 that was shown at COS has been gathered together and is now displayed in the Dunsmuir Museum for your viewing.